It’s very easy: sit cross-legged for 3 to 4 hours a day, empty your mind and it will all become clear. Don’t fancy that? Really? I’m surprised but ok, let’s look at some alternatives. Firstly, as my flippant intro demonstrates self-awareness is often associated with some hippy or spiritual endeavour however there is nothing woo-woo about knowing and understanding our motivations and it doesn’t have to be a spiritual quest (unless you want it to). Secondly, self-awareness is accessible to all, no meditation training or psychology degree needed. All you need is a genuine desire to develop yourself personally and professionally and the realisation that knowing yourself truly is the first step. Before you embark on this journey, can you please make a deal with yourself? The deal is to be KIND with yourself. There is going to be a lot of inner chatter/conversation which is a great source of information. However if you are constantly judging yourself or putting yourself down it is not useful, you’ll just end up with lower self-esteem but little knowledge about yourself. Nowadays the Enneagram is also very popular, I’m honestly not too au fait with it but a lot of my coaching colleagues swear by it. Although different the impact is the same as it will give some paths to explore. You can do the test and find more about the 9 types here. There are a few more, if you feel it’d be useful for you I suggest you discuss it with your HR contact to see which one is used by your company. It’s better to use the one your company provides as, when working at a team level, it’ll be easier to understand the different profiles. Talking of teams, it’s a great tool to use if you are a new manager to get to know your team and also start building more cohesion. Eg: I wonder why John annoyed me so much in the meeting today? What did he say or do? I think the best way to describe it is that I was hurt. Why did it hurt me? Does it remind me of another situation or person? You see how you can get quite a lot of info with this questioning process as long as you stay non-judgmental – see “Be kind”! Yep, Mr Jung hits the nail on the head so pay attention to your behaviour, your mood, how it changes depending on the people or the situation. Basically be nosey, you’ll get a ton of knowledge about yourself. The secret, as I said before, is to stay non-judgmental if you start judging yourself and people around you, what you get out of the exercise is not so interesting as it contains a lot of pre-conceptions and fear. Let’s be honest, dropping the “judgement” habit may take a while: our brain is wired to apply our (culture, value, fear, family etc) filters on people and situations so we cannot just decide to remove them and that’s it, job done. A simple and effective approach as long as you l-i-s-t-e-n. I see you rolling your eyes? How often do we listen approximately to what is being said, selective hearing is a condition plaguing most of us. So if you are prepared to listen then ask the colleagues, friends and family members that can give you constructive feedback. Try and get a range of feedback, what I mean is just getting feedback from admirers won’t teach you much. You need positive and challenging feedback so you can start building a picture of the image you send out. Feedback is particularly useful when you are making a change or you feel something is amiss, just ask and listen. You’ll need 100 lifetimes to read all the books written on this subject so take a stroll in the Personal Development or Psychology aisle of your favourite book store and see what catches your eye. I’m big on data, I made a career out of it, however I bow to the power of the intuition. You feel you don’t have any? Fear not, it’s probably rusty through years of neglect. As you develop your self-awareness you will feel more and more comfortable using your intuition. All the actions suggested so far are like weight training for the intuitive muscle, in no time and if you care to listen carefully you’ll get that gut feeling, that little voice whispering in your ear. 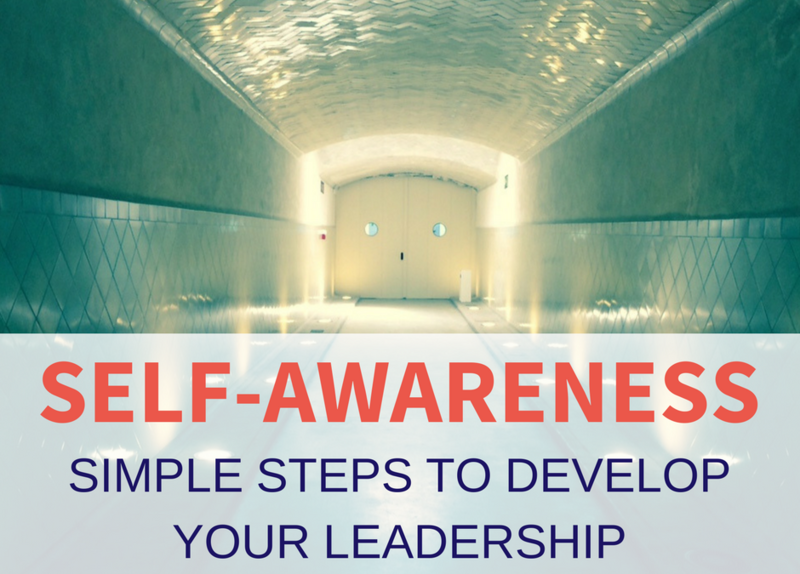 This list is by no means exhaustive, we each have our own way to develop self-awareness and this is just some inspiration to get you started. You don’t have to spend hours at a time, a few minutes a week will do, however it’s likely you will soon be hooked especially as you see the impact it is having on your decision-making and behaviour at work: you’ll see a strong and balanced leadership emerge effortlessly. 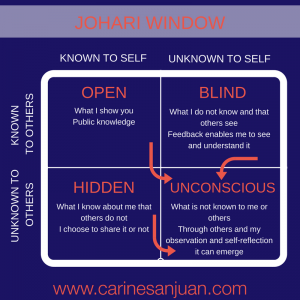 I’d love to hear your thoughts on developing self-awareness and how you are going about it. So don’t hesitate to contact me or leave a comment.